Manufactured from Spectrosil quartz for accurate readings over the entire UV range to near infrared range. In semi-micro cells, the walls parallel to the light path are thickened, decreasing the sample chamber width to 4mm. Sub-micro cells have a Z dimension that must be matched between the cell and the instrument to be used. 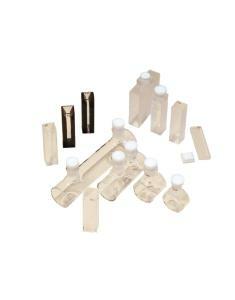 Three cover types are available: flat lid, stopper, and screw cap. Flat lids and stoppers are made of polytetrafluoroethylene (PTFE). Stoppered cells feature a block fused to the top of the cell with a ground hole for the stopper, providing a more suitable seal for volatile liquids. Cells with screw caps can be used under anaerobic conditions and offer an air-tight fit. 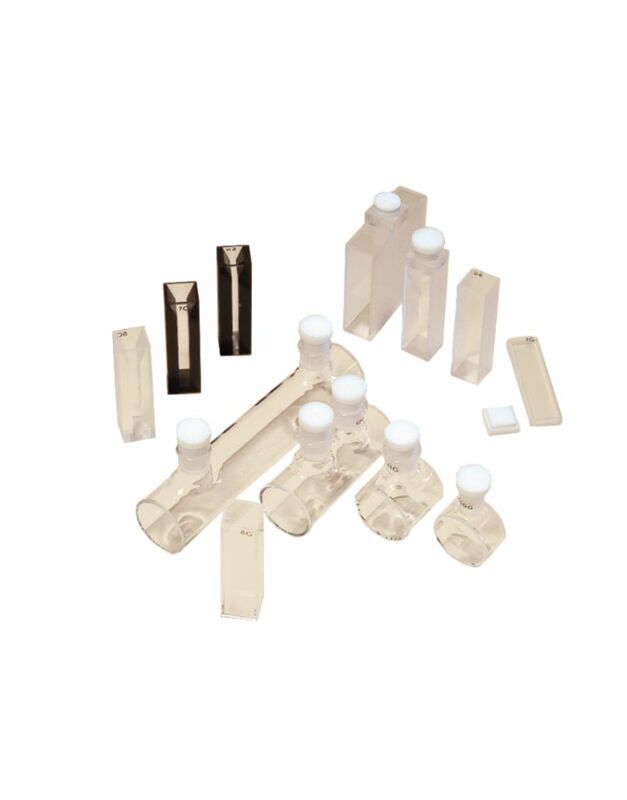 Cell 414004-054 features a closed-top polymer screw cap with a silicone rubber gasket. Cell 414004-055 features an open-top polymer screw cap with a silicone rubber septum. Note: Not recommended for use with ultrasonic cleaning. Ordering information: For Spectrosil cells for use in fluorometers, see 414004-064 series. Packs of two cells are matched sets.